How to use Great Lakes Marinas Search. From the main search page, you can search for Marinas, Area Ramps, or Emergency Services. From the Emergency search page, you can search for Emergency Services and Towing Services. 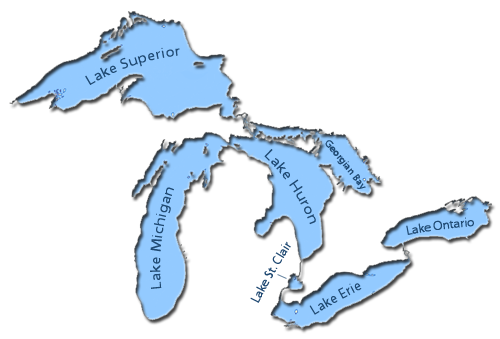 Select a Waterway by clicking on one of the Great Lakes or select a Waterway from the drop down box. Select the amentities you are interest in from the Basic Amenities list or click "Advanced Search" for an extended list of amenities. Click on a geographical region or select from the drop down box. Select the emergency services you are looking for.